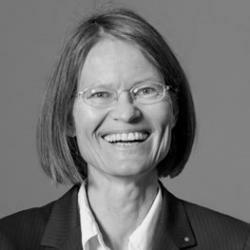 Anne Peters is Professor of Public International Law at the University of Basel, a position she has held since 2001. In the academic year 2004/05 she was Dean of the Faculty of Law. Prior to taking up the tenured post she was Assistant Professor at the Walther-Schücking-Institute of Public International Law at the Christian Albrechts University Kiel, where she obtained the Habilitation-qualification on the basis of her Habilitation-Thesis “Elemente einer Theorie der Verfassung Europas” (Elements of a Theory of the Constitution of Europe). On 29 November 2009, the Swiss people voted in a popular referendum in favour of an absolute prohibition of the construction of minarets on Swiss territory. The vote was 57.8 % in favour, and 23 of the 26 cantons were in favour of the prohibition. The turnout was 53.4 %, which is relatively high for Switzerland. The federal referendum was triggered by a popular initiative launched in April 2007 by a group of 16 people, 14 of whom were members of the “Schweizerische Volkspartei” (Swiss Popular Party), whose political programme is partly directed against migrants. Under the Swiss Federal Constitution, a federation-wide popular initiative can be launched by gathering 100’000 signatures of Swiss citizens (a population of roughly 7 million) within 18 months (Art. 139). Reaching this threshold was no problem in the case of the anti-minaret- initiative. The sufficient number of signatures was collected in July 2008. Once the threshold had been passed, and the formal correctness of the proceeding had been verified by a governmental office, the material validity of the initiative was scrutinized before the text of the initiative itself was put to vote. The Swiss Federal Constitution prohibits popular initiatives which “infringe preemptory norms of international law” (Article 139(2)). It is incumbent on the federal parliament to examine whether this is the case or not (Article 173 (1) lit f.)). The reason for vesting the power of scrutiny in parliament and not in the federal court is respect for popular sovereignty. According to the framers of the constitution, the verdict of inadmissibility of an initiative, a verdict which obviously curtails popular sovereignty, should only be pronounced by that federal body which enjoys the most direct democratic legitimacy. Parliament is composed of the directly elected representatives of the people, whereas the Swiss federal court has only an indirect democratic basis (the judges being elected by the parliament). In the case of the anti-minaret-initiative, the parliamentary decision was easy. The initiative affects the freedom of religion as guaranteed under the Swiss constitution and under Article 9 of the European Convention of Human rights (ECHR), Art. 18 of the Covenant on Civil and Political rights (CCPR), and the international legal prohibitions of discrimination (Art. 14 ECHR and 2(1) CCPR). However, it is quite obvious that these fundamental rights do not pertain to the body of ius cogens, as defined in international law, accepted by Swiss practice, because a large number of states do not accept religious freedom, and many have submitted reservations relative to religious freedom to the universal human rights instruments. In the Parliamentary Resolution on the admissibility of the popular initiative, the Swiss Federal Parliament highlighted that the adoption of the initiative would entail a violation of international law. However, Parliament did not have the power to declare the initiative inadmissible and void, because the wording of the constitutional clause on the inadmissibility of initiatives is clearly limited to ius cogens. Therefore, the initiative had to be put to a popular vote, and the government fixed the date of 29 November 2009. During the campaign, almost all political parties and the government recommended the people to vote against this initiative. The clear supportive result of 29 November was a big political surprise, because previous opinion polls had predicted only between 30 and 40 percent of approval, which would have not sufficed for an endorsement of the proposal. The clear outcome manifests a widespread diffuse fear of islamisation. The “victorious” Swiss popular party immediately announced to launch a second initiative targeted at a prohibition of burcas in the public sphere. It is foreseeable that individuals will seek to challenge the new constitutional prohibition before the domestic judiciary. Clearly those persons will have ius standi who apply for a construction permit for minarets. Such an application will – due to the novel constitutional prohibition – necessarily be denied by the competent local authorities. A communication to the UN Human Rights Committee will not be possible, because Switzerland has not ratified the Optional Protocol No. 1 to the CCPR. After a dismissal of the complaint by the Swiss Federal Court, the defeated party will be able to apply to the Strasbourg-based European Court of Human rights (ECHR) within the time-limit six months after the final domestic judgment (Articles 34-35 ECHR). It is to be expected that the Strasbourg Court will declare the prohibition of minarets as a violation of Article 9 ECHR and/or as violative of Article 9 taken in conjunction with Article 14 ECHR. The scope of the right to exercise one’s religion has usually been construed broadly by the Strasbourg court. Although not every act motivated or inspired by a religion or belief is protected, not only those activities or instruments that are strictly necessary for the exercise of belief enjoy protection. For instance, a state making it impossible for eating meat from animals slaughtered according to the religious prescriptions of Jewish orthodox communities interferes with the freedom of those communities to exercise their religion. In various cases, governmental prohibitions to construct or to rent buildings for religious use, licensing schemes and the like have been qualified as an interference with the fundamental right to freedom of religion. It is therefore immaterial whether a Muslim cult can also be practiced also without minarets, as long as Muslims themselves consider the minaret to form part of the expression of their religious beliefs. The right to freedom of religion is of course not absolute. The interference lying in the prohibition of minarets could be justified if it pursued one of the legitimate aims mentioned in Article 9(2) ECHR and if it were proportional, i.e. “necessary in a democratic society”, as Article 9(2) puts it. The proponents of the popular initiative have argued that the prohibition of minarets serves the maintenance of public order. This objective, together with the public interest in planning and in managing territory, has frequently been accepted by the Strasbourg Court in cases concerning the restriction of religious activities. But the strict prohibition of minarets, allowing for no exception, is not needed to manage territory and to protect the ordre public, because the existing Swiss laws rules on planning and construction contain fine-tailored instruments which allow the prohibition of minarets at places where they might disturb the neighbourhood. The already existing rules could also be applied in order to limit the height of minarets, or to prohibit the employment of a muecin. Because sufficient legal instruments are in place to protect the public order, the absolute prohibition in the constitution is overbroad and thus not “necessary” in terms of Article 9(2) ECHR. Differently from Muslim headscarves worn by teachers and the installation of Christian crucifixes in public schools, the religious message embodied by a minaret is not sent out to (minor) students who are necessarily influenced by that message. Contrary to students who perceive the school teacher as an authority, and who are also necessarily confronted with symbols displayed class room, the general non-Muslim population does not have any right derived from their (“negative”) freedom of belief not to see minarets in town. These crucial features (absence of an educational setting and targeting of a minority) distinguish the Swiss case from previous ones. The European Convention does allow member states to prohibit headscarves in schools and universities (and in Turkey even to prohibit headscarves worn by students), and inversely does not allow Italy to display crucifixes (a symbol of the religious belief of the majority) in public schools. Moreover, the freedom of religion as guaranteed under the ECHR contains a strong component of religious neutrality, impartiality, and tolerance. The Strasbourg Court has frequently emphasized the state’s role as the neutral and impartial organizer of the exercise of various religions, faiths and beliefs, and stated that this role is conducive to public order, religious harmony and tolerance in a democratic society. It also considers that the state’s duty of neutrality and impartiality is incompatible with any power on the state’s part to assess the legitimacy of religious beliefs or the ways in which those beliefs are expressed. The prohibition of minarets is squarely directed only against the Islam. The fact that the Muslim religion is a “newcomer” in Swiss society does not allow the state to treat it differently from the more traditional religions. Finally, Strasbourg has more and more insisted on “true religious pluralism, which is vital to the survival of a democratic society”, as a basic principle in disputes concerning the freedom of religion. The state must, according to the Strasbourg case law, ensure mutual tolerance between opposing groups. Accordingly, the role of the authorities in circumstances where various religious groups meet is not to remove the cause of tension by eliminating pluralism, but to ensure that the competing groups tolerate each other. A balance must be achieved which ensures the fair and proper treatment of persons pertaining to religious minorities and avoids any abuse of a dominant position. The Strasbourg Court will also have to examine whether the prohibition of minarets, which singles out one particular religion, is a violation of Article 9 taken in conjunction with Art. 14 ECHR. Differential treatment on religions grounds is prohibited unless the state provides an objective and reasonable justification. The Court has applied strict scrutiny in these cases and asks for particularly weighty reasons to justify differential treatment of persons or groups based on their religious belief. Such weighty reasons for an absolute prohibition of minarets in Switzerland seem to be lacking. The ECHR has granted the member states a margin of appreciation in cases concerning religion, and also in the field of planning and management of territory. One might additionally ask whether the margin of appreciation should be especially broad because the prohibition is a clear and unequivocal expression of a people’s decision, taken in a popular referendum. But direct democracy is not stronger or more valuable than indirect democracy, and therefore a decision taken by a people directly should not be more readily allowed to violate fundamental rights than a rule adopted by parliament. To conclude, the Swiss margin of appreciation seems to be overstepped in the case of the strict prohibition of minarets. In consequence of a Strasbourg judgment, Switzerland will have to bring its legal system in conformity with the Convention (Article 46 ECHR). The state will therefore have to re-revise its constitution in order to get rid or mitigate of the prohibition of minarets. The Committee of Ministers of the Council of Europe will supervise this process. The political option of denouncing the ECHR (which is possible under Art. 58 ECHR) seems illusionary. The alternative strategy just to refuse implementation of a Strasburg judgment and to resist the pressure excised by the European Organization and by a vigilant European public seems foreclosed. Switzerland holds just now the presidency of the Committee of Ministers in the Council of Europe and has always manifested strong support for the Council of Europe and its regime, notably because Switzerland is not a member of the European Union. This popular vote will refuel the Swiss constitutional law debate on the admissibility of popular initiatives which entail the adoption of constitutional provisions violating international law. Scho ars and politicians have been debating the extension of the constitutional limitations on popular initiatives. It has for instance been suggested to qualify international human rights norms as “de facto peremptory norms”, because the implementation of Swiss law violating international human rights guarantees would be de facto impossible. But proposals to read the constitutional limitation clause of Article 139(2) of the Swiss Federal Constitution in such an extensive fashion hurt themselves at the clear wording of that provision and also at the clear intent of the constitutional convention of 1999 to place only very lose limits on popular initiatives. Therefore the doctrinally sounder suggestion seems to be to enshrine into the Swiss Federal Constitution a prohibition of initiatives which clearly violate human rights. However, such a prohibition would require amendment of the Swiss Constitution, and any such amendment is again subject to a compulsory popular referendum. Constitutional revision is therefore not easy to achieve. Another “construction problem” of federal popular initiatives is that the competence to decide on the admissibility of an initiative is vested in parliament. But such limits clearly pose rather legal, not mainly political questions. Parliamentarians are not fully equipped to decide such questions, and they have an inherent reluctance to pronounce themselves against the desire of at least 100’0000 voters. It is therefore submitted that parliament is not the appropriate body to fulfill the task of scrutinizing the admissibility of popular initiatives. Finally, a systemic problem lies in the fact that a federal popular initiative must always be directed at the revision of the Swiss Constitution itself. It is not possible to launch an initiative for the adoption of an ordinary federal law. This leads to the enactment of constitutional provisions, such as the prohibition of minarets, which should not have a place in a constitutional document, because their substance is rather petty, or too technical. Searching remedies against (direct) democratic decisions which produce substantial collateral damage via international institutions is not risk-free. A Strasburg judgment against Switzerland is likely to fuel the suspicion by the Swiss population against a “government of foreign judges”. Ultimately, the tension between direct democracy and respect for internationally guaranteed human rights is at stake here. The task of trying to reconcile popular sovereignty and the rule of law is a never-ending one. 17 cantons plus five cantons with only one vote in the second chamber. The authentic German, French, and Italian texts of the Swiss Federal Constitution of 18 April 1999 are available at http://www.admin.ch/ch/d/sr/1/101.de.pdf (German version). An official English translation is available at http://www.admin.ch/ch/e/rs/c101.html. Federal Parliament, resolution on the admissibility of the initiative (Bundesversammlung, Bundesbeschluss/Assemblée Fédérale, arrêt federal) Bundesblatt 2009, p. 4381. See also the Message of the Government Federal Council (Bundesrat, Botschaft Bundesblatt 2008, p. 7603) of 27 August 2008. ECHR, Leyla Sahin v Turkey, appl. No. 44774/98 (Great Chamber), Reports 2005-XI, para. 105. ECHR, Cha’re Shalom Ve Tsedek vs France (Great Chamber), appl. No. 27417/95, reports 2000-VII, para. 80. European Commission on Human Rights, Iskcon and 8 others v. the United Kingdom, appl. No. 20490/92, Decision of 8 March 1994; ECHR, Manoussakis and Others v. Greece, appl. No. 59/1995/565/651, judgment of 26 Sept. 1996, para. 36; ECHR, Vergos v. Grece, appl. No. 65501/01, judgment of 24 June 2004, para. 32. ECHR, Vergos v. Grece, appl. No. 65501/01, judgment of 24 June 2004, para. 40. The ECHR prohibition of discrimination is “symmetrical” and does not only protect minorities or members of oppressed groups, but also, e.g., men and people with white skin. However, the fact that a politically relatively powerless minority is disadvantaged by a special law should have an impact on the balancing decision. ECHR, Dahlab v. Suisse, inadmissibility decision No. 42393/98, Reports 2001-VI): The prohibition of headscarves worn by a teacher in a primary school by the Swiss canton of Geneva is in conformity with Article 9 ECHR. ECHR, Leyla Sahin v Turkey, appl. No. 44774/98 (Great Chamber), Reports 2005-XI. ECHR, Lautsi v Italie, appl. No. 30814/06, judgment of 3 November 2009: display of crucifix violates Article 2 of Protocol 1 in conjunction with Article 9 of the Convention. See e.g., ECHR, Metropolitan Church of Bessarabia and Others v. Moldova, no. 45701/99, para. 123. ECHR, Leyla Sahin v Turkey, appl. No. 44774/98 (Grand Chamber), Reports 2005-XI, para. 107. ECHR, Hoffmann v. Austria, appl. No. 12875/87, Series A 255-C, para. 36. ECHR, Leyla Sahin v Turkey, appl. No. 44774/98 (Grand Chamber), Reports 2005-XI, paras 109-110, concluding that the Turkish prohibition of headscarves in public buildings was within the sate’s margin of appreciation. ECHR, Vergos v. Grece, appl. no. 65501/01, judgment of 24 June 2004, para. 42. Great article, and welcome to the blog. I entirely agree with you that this constitutional amendment is as such a flagrant violation of Articles 9 and 14 ECHR, and I simply can’t imagine that the European Court won’t say so. However, I don’t think that any potential applicants would need to go through the Swiss judiciary for the purpose of exhausting local remedies, before applying to the European Court. For the reasons that you yourself give, these remedies would be manifestly ineffective, as the Swiss courts could not be reasonably expected not to give effect to a constitutional norm, however repugnant it may be. I therefore see no reason why the potential applicants could not immediately petition the European Court. I do have a question/comment for you in regard of what will happen when (not if) the European Court rules that the ECHR has been violated. I of course have zero knowledge of Swiss politics, but you may be underestimating the difficulty of bringing Switzerland back to compliance. That, as far as I understand, would require another constitutional amendment, and that might not be easily done with the political climate in Switzerland being as hostile to immigrants as it is. Similar enforcement difficulties may indeed also occur with the Italian crucifix case that you cite, since Berlusconi has basically said that Italy does not intend to comply with the European Court’s judgment, even if it is confirmed on appeal by the Grand Chamber. It’s most interesting to see how even ‘old’ European democracies can experience such compliance problems. I, for one, would not be terribly surprised if either Italy or Switzerland adopted (at least within the next few years) a variant of the Russia-approach to ECHR compliance, i.e. pay up any damages ordered by the European Court, but not budge on the systemic issue. Many thanks for this well-researched article. I would also like to ask a question since I unfortunately have limited knowledge of Swiss constitutional law. I have read conflicting views on the legal powers of the federal court in this matter. Guisep Nay, former president of the federal court, seems to suggest in an interview given to Amnesty International that the tribunal would have the power t o strike down the minaret ban by virtue of the prevalence of international law. He may be referring to article 190 of the constitution – assuming the tribunal would not interpret it in accordance with the Schubert praxis but rather some sort of the views adopted in the PKK jurisprudence. Would that be possible at all? I guess it is an unlikely scenario anyways, but I would be interested in your views. I agree with Marko Milanovic in that potential applicants to the Strasbourg Court would not necessarily have to go through the domestic remedies given the fact that the ban does not allow for exceptions and cannot be brought in accordance with international law. Thus domestic remedies would not be effective but futile. Yet, potential applicants would have to apply for a permit from the local building authority to construct a minaret and obtain a negative decision. One could, however, ponder the question what the Swiss Federal Supreme Court would rule on the subject and hence whether domestic remedies have to be exhausted after all. This also relates to the second post (by E.S.) concerning the competence of the Swiss Federal Supreme Court to strike down the constitutional ban. In its Schubert jurisprudence (Federal Supreme Court, BGE 99 Ib 39, judgment of 2 March 1973. Confirmed in Federal Supreme Court, BGE 111 V 201, judgment of 23 October 1985 as well as in Federal Supreme Court, BGE 122 II 1, judgment of 9 March 1986) starting in the 1970s the Federal Supreme Court ruled that a federal law, which deliberately and consciously violated a bilateral treaty that had been concluded before the federal law came into force, overruled said bilateral treaty. The reason being separation of powers. In the 1999 PKK case (Federal Supreme Court, BGE 125 II 417, judgment of 26 July 1999) the Court ruled that a conflict between a federal law and the ECHR has to be solved according to Articles 26 and 27 of the Vienna Convention and thus, in principle, international law overrides national law, even more so if the international treaty concerned serves the protection of human rights. I would, nevertheless, predict the Court to follow the Schubert jurisprudence and not the PKK ruling. The PKK case did not concern a deliberate violation of the ECHR (through Parliament) and thus does not render the Schubert jurisprudence irrelevant. In the minaret case the sovereign admittedly violated the freedom of religion with deliberation and fully conscious of the consequences that an adoption of the ban would entail. Moreover, Parliament declared the initiative to be valid under national law. If the separation of powers argument is valid for federal laws passed by Parliament it is certainly valid for constitutional amendments voted for by the people. The Federal Supreme Court is therefore unlikely to annul a popular vote but would probably rather pass the buck to the Strasbourg Court. In addition, as explained my Anne Peters, the applicable rules on the validity of popular initiatives prohibit only popular initiatives which “infringe peremptory norms of international law”. This could lead to the assumption that only jus cogens stands higher than the national constitution. What regards Marko Milanovic’s enforcement question it is very unlikely that the constitution would be amended after a decision from Strasbourg because such an amendment would require another popular vote. The ban would just not be implemented in individual cases and would thus de facto become null. I like the detailed analysis of whether the prohibition of building minarets affects freedom of religion or not, because there was (and is) a very controversial but not necessarily fact-based discussion about that point here in Switzerland. I completely agree with the point mentioned in the article, that a decision of the Strasbourg court will be used by some parties to agitate against “foreign judges”. Some politicians have been talking about recalling the ECHR for some time now. If there is a decision from Strasbourg, forcing Switzerland to undo a change of constitution wanted by such a big majority, that might give up wind to that positions. I would not argue, that a majority of Swiss voters would be in favour of recalling the ECHR if they had to vote on it – but neither I believed that a majority would be in favour of a minaret prohibition. Thank you for taking the time to post a blog explaining to what I assume to be mostly a European readership the outcome of Switzerland’s decision on the construction of minarets. My reply to you as your friend and as a Swiss citizen with a voting record of deciding on approximately 200 constitutional matters on the Federal level alone (plus an unknown number of votes on the Cantonal and local level) will attempt to shed a different light on the matter, all in the hope of enlightening the discussion and widening the scope from a mere legal point of view to encompass interdisciplinary scholarship. Your article hinges on the assumption that the decision by the Swiss people was wrong and needs correction which apparently you would like to see implemented not just in this particular case but systemically as a remedy against “(direct) democratic decisions” because you see a conflict between “popular sovereignty and the rule of law.” It seems to me that both your assumption and your conclusion reflect the kind of thought that is most foreign to Swiss citizens. In our thinking and political habit the notion that a majority decision be wrong sounds very alienating. Naturally, the outcome of a vote will always leave some people frustrated, angered, disenchanted, and with a feeling that the result is wrong. However, in Switzerland, it would be news indeed if an outcome were all of a sudden legally (or even morally) wrong and in need of specific or even systemic overhaul. There is, in other words, from a Swiss point of view, no conflict between popular sovereignty and the rule of law; on the contrary, popular sovereignty is the rule of law. Your view stems from a political tradition which I encounter often among my European friends and which stems from a tradition of scant or no republican experience. As a child I asked my father what the “State” was. His reply was as swift as it was concise. The State, he said, that is all of us. Most of us Swiss would subscribe to the notion that, in our republic, the State is constituted from the bottom up, not from the top down as in European monarchies of the present or the past. This distinction is most crucial in understanding last Sunday’s vote and its ramifications. If there is a paradigmatic continuity in Swiss history, then it is the absolute twin rejection of foreign judges (as you mention yourself) and domestic elites. If I may, I would consider myself a member of the elite (by whatever definition; education, socio-economic standing, former elected official etc. ), but I would never condescend to my fellow citizens on principle. You seem quite certain that Strasbourg would decide along predetermined fault lines. However, I find in your reasoning no compelling argument why this should be so. Your assumption here is that the probable decision would necessarily rest on the protection of religious liberty guaranteed under the ECHR (and under the Swiss constitution, of course). Why? The suing party would first have to demonstrate convincingly that the Swiss constitutional ban on the construction of minarets is an infringement of said rights. It seems to me this would represent an insurmountable hurdle. Minarets are towers and as such carry with them, as all towers do, certain semiotic significance but they are not intrinsic religious symbols. The Koran does not mention them and they are not instrumental to the exercise of religious practice or the carrying out of the faith. In fact, the only Scriptural reference is the story of the Tower of Babel, incidentally a wonderful illustration of the ambiguity of tower building as well as the creative-destructive dichotomy of all vertical human endeavors (anthropologically speaking; sadly, we can no longer ask Claude Lévi-Srauss’ view on this). A random list of towers will quickly list the common elements of all towers (in the best tradition of structuralism): the Eiffel Tower, the London Tower, Big Ben, Tower Bridge, the Towers of San Gimignano, the Towers of the World Trade Center… none of them religious symbols but stakes in the actual and mental landscapes, shaping geographical and cultural identity, all designed to impress, represent, warn, head off, mark presence, guide and so forth. You don’t have to be a disciple of Freudian scholarship to recognize the phallic quality of all towers and its connotations, including the prerogative of power, demonstration of prowess, vertical orientation … and its intrinsic fear of collapse (not just the Tower of Pisa comes to mind and the enormous amounts spent on keeping it up!). The construction of towers is therefore never a light-hearted matter. This may be best illustrated, not so paradoxically, by their destruction and the consequences thereof. Again, the Tower of Babel is the paradigm here, and 9/11 the most recent illustration of just that. It cannot be said that the choice of targets by the Islamic terrorist was incidental; the World Trade Center twin towers were the preferred target (and had been targeted before) as they symbolized much of what the terrorist loathed, what they believed the U.S. stood for, and what they believed would best emasculate (!) the United States. I don’t need to dwell on the consequences here as they are all too obvious and painful to contemplate. In view of the above, you need to explain why you consider the construction of minarets (or the prohibition thereof) a petty matter, as you say. It is anything but petty and deserves not just faute de mieux constitutional treatment. You also seem to contradict yourself here, as you mention yourself that the vote on the minaret ban drew a near record number of people to the polls. Petty matters (and we have had plenty of those) do not usually draw such attention. If you still doubt the “power of tower,” I recommend reading Henry Adams’ Mont St. Michel and Chartres. Adams, the eminent Harvard historian, in about 1890, wrote in this marvelous book (itself a landmark in intellectual history) passionately but scholarly about the power of architectural landmarks. To him, medieval Gothic buildings, with their strong vertical orientation, represented an “energy” far greater (!) than the energy generated by technological marvels symbolized by the “dynamo” whose energy he considered diffuse and potentially destructive. If we could ask Adams, I am quite sure, he would put the ban on the construction of minarets in the Constitution and the ban on the construction of nuclear power plants in the wider body of law. Some commentators who appear to be disappointed by the outcome of last Sunday’s vote suggest or outright say so that the majority of the voting public in favor of the ban are somehow intellectually less than gifted, misguided, xenophobic or all of the above. Apart from the elitist and condescending tone of such comments, they are simply wrong. Switzerland has a foreign population of just over 21 percent. That is the highest percentage of any country in Europe with the exception of Luxembourg. Switzerland has a long and honorable record of welcoming foreigners to live and work here. As you no doubt recall, Switzerland (the same voting public!) not long ago voted by a decisive margin to extend to Bulgaria and Romania the same privileges enjoyed by the other EU States. I challenge you to name the country that would have in the face of obvious disadvantages voted the same way. That outcome to me borders on altruism and exhibiting a lack of pursuing self interest alone. To suggest, therefore, that Switzerland all of a sudden made an about face and lost its bearings is insidious, callous and mean spirited or simply uninformed at best. Fear of the unknown is a primordial human experience. It factors in most of our decision making at a more or less unconscious level. No matter how rationally we approach a subject, emotions including fear play a role. Nobody is immune to that; neither economists, nor psychologists themselves, nor theologians, nor clerks, engineers, truck drivers, teachers, mothers, fathers, children. Nor are judges guided by pure reason alone. During the campaign, economiesuisse, the country’s premier and powerful business lobby tried to inject the fear of job losses into the debate due to expected dwindling exports to Islamic countries. Obviously, the argument fell flat and if anything helped to underscore the overarching concern for the well being of the country beyond the narrow time and pecuniary horizon envisioned by the business community. Among my friends, all of them well educated, motives for or against hinged not on short term considerations but on choosing the best path for our country, whether they voted for or against the initiative. I do not believe that my friends are much nobler in their motives than the general voting public. Rather, it is my experience that those of us who go to the polls do so with the respect and awesome sense of responsibility that is incumbent on the republican citizen. I, and no doubt most of my fellow citizens, have been reared in the awareness of the duty inherent in the role of the Sovereign, and that this privilege is not to be taken or exercised lightly. It may, incidentally, help explain why as a rule voter participation is chronically low in Switzerland. It seems that many citizens often disqualify themselves as they implicitly admit to not wanting to take on this awesome responsibility. Now, in the light of what I have just attempted to show, should the judges in Strasbourg overrule the Swiss decision, I predict dire and unintended consequences that may be too horrific to contemplate. You may assume that the Swiss would not simply accept a decision handed down by a group of foreign judges, however well qualified in their métier and well intended in their sentencing. It is inconceivable that the Strasbourg court, scarcely democratically legitimized from a Swiss point of view, should overrule a decision made by hundreds of thousands of relatively well informed citizens. Please assume that we find in Switzerland much of what Montesquieu demanded of the spirit of a republic and what de Tocqueville found in America: the virtuous habits of the heart that guide most of us in our decision making – whether we belong to the majority or to the minority in any given polling. The Strasbourg judges cannot be guided by the same republican principle as their hearts owe no allegiance to the well being of Switzerland as such. A decision against Switzerland would not only infringe on our sovereignty but also be read in this country as a blatant exercise of self styled legal, political and cultural imperialism. We have done well with our political institutions for generations. Initiative and Referendum are twin accomplishments in constitutional law unique in the world. Why this should be tinkered with at this point, is not at all obvious. Nor is it obvious why foreign judges should put themselves above the Swiss Sovereign and trample on the Federal Constitution, if indeed they choose to do so. But, no decision has been made, and I am confident that reason will prevail. The Federal Council must now act. The government must steadfastly and convincingly stand up to self appointed elites and underscore the immutable significance of Constitutional changes favored by the Sovereign. The government should stop apologizing for decisions made according to the rules of the land, such behavior is not worthy of the executive branch but rather the hallmark of the shifty and shy. I am merely a student so I would not consider myself qualified to make a psychological profile of last weekends vote. Allthough I am Swiss I do perceive the outcome wrong and very much opposed to Mr. Weibels argument the referendum is just a way of taking opinions. We all know opions are subjective and can be “wrong” even if the majority is of that opinion. I don’t have to explain recent german (or european) history, we all know what happend (allthough some people appear to have forgotten). And it is in my opinion (in accordance) quite correct that minarets are a “petty matter”, because the referendum never (truly) was about those little towers. It was about the fear of Islam and of the unknown. The poll showed clearly that in those cities that had most “immigrant problems” people seemed to think that a ban of minarets was not the right way to do things. In the end, people all over the country were confronted with the question Islam YES or NO, a very easy and understandable question which animated people to vote. Just like that, because (maybe for once) they understood what it was all about. There is no point in sugar coating it: many people that voted were afraid on some level. The Swiss Popular Party was always better in spotting the Swiss people’s problems and fears than other Parties. But as opposed to offer constructive solutions, to “cure the illness”, they seem to be quite content just to abate symptoms and be done with it. I realize, that what I said has nothing to do with law but it has to do with (as Mr. Weibel said) who makes the law. I am neither Swiss nor a lawyer (just a humble mathematics professor), but I am fascinated by this issue and its many ramifications. I read this article and the comments with great interest. If I may bring up a small point, does Swiss law in fact define the term “minaret” with sufficient specificity to make this new article of the constitution enforceable in a fair manner? Is a minaret simply any tower on an Islamic house of worship? If so, how high must it be to constitute a minaret? Will any raised portion on the roof of a mosque now be prohibited? Or must it have open windows that permit the call of a muzzein, whether live or recorded? And let us keep in mind that even a small cupola, perhaps just a meter high, could accommodate a loudspeaker or a very short muzzein. Final question: Is the Swiss federal constitution the only one in the world that concerns itself with specific details of architecture? I am not so sanguine about how the ECHR would rule on a challenge to this ban. Its dicta in both Refah and Shahin show a willingness to engage in crude anti-Islamic stereotypes and a complete indifference to the views or understandings of Muslims of their own practices. It seems to me perfectly plausible that they could conclude, just as they did in Shahin, that minarets are an anti-democratic symbol and therefore it is within the power of European states to regulate them, even prohibit them. Mr. Weibel argues that Anne Peters’ analysis is based on a non-Swiss perspective. Moreover, he claims that the ‘Swiss point of view’ cannot accept a potential conflict ‘between popular sovereignty and the rule of law’. Finally, he invokes the Swiss reflex against ‘foreign judges’ in order to deprive the Strasbourg Court of jurisdiction in the matter concerned. The relation between the rule of law and popular sovereignty is indeed a difficult question in Swiss constitutional law and there will be much discussion about this over the next few months. Personally, I do not agree with the assumption that the rule of law coincides with Swiss popular sovereignty. The right to popular initiatives is not unlimited because all those popular initiatives are prohibited which ‘infringe preemptory norms of international law’ (Article 139(2) Swiss Constitution). Moreover, the federal system, too, allows for limitations of popular sovereignty; otherwise it would not be possible for Swiss federal institutions to nullify popular decisions which have been taken on a Cantonal level. Accordingly, both, the federal system and the constitutional reference to ius cogens, show that popular sovereignty and the rule of law are not synonymous. Accordingly, the right to vote does imply the right that an unlawful provision must be withheld (Federal Supreme Court, BGE 129 I 217, E.2.2.2). It is difficult for Swiss people to accept the idea that popular sovereignty is not unlimited. However, this is the basic idea of all international human rights instruments: The national public interest does not allow for infringements with human rights as defined by international law and international treaty adjudication bodies. One must never forget that the background of international human rights law is the historic experience of unlimited state sovereignty which ended up in genocide and mass deportations, all carried out in the name of an alleged national public interest. States are free to legislate on their territory – nevertheless, international law requires them to observe international law. Moreover, since state parties accept that treaty bodies have the authority to interpret the scope of the provisions set forth in the respective treaties, they are bound to accept the verdict of international courts. ‘Foreign judges’ will not apply foreign laws – they will apply international human rights treaties to which Switzerland is a party (which has been approved by the Swiss sovereign). All state parties believe that their constitutional provisions, their laws, their judgments and their administrative acts comply with human rights or that they are allowed to deviate from them – to verify these claims, that’s what international courts are for. Accordingly, the right to vote does imply the right that an unlawful provision must be withheld (Federal Supreme Court, BGE 129 I 217, E.2.2.2). Recte: Accordingly, the right to vote does NOT imply the right that an unlawful provision must be withheld (Federal Supreme Court, BGE 129 I 217, E.2.2.2).